The popularity of battle royale game Fortnite has recently led to some unique in-game branding opportunities: players could suit up as Thanos in a game mode coinciding with the release of Avengers: Infinity War, while masked EDM figure Marshmello held an in-game concert earlier this month. Now, Weezer have got in on the action ahead of releasing their self-titled Black Album tomorrow (March 1). 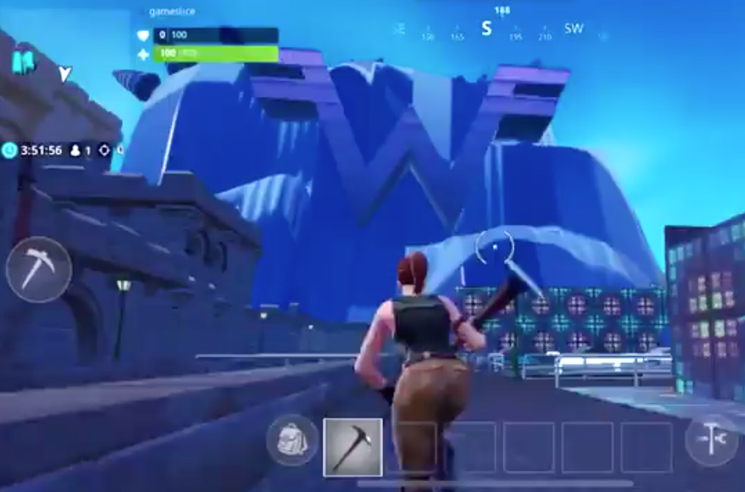 In Fortnite's Creative Mode, players have discovered a world complete with a Weezer-branded theme park, which plays songs from the album in the background. You can find a preview of the world's gameplay below. The Weezer-themed island coincides with the launch of the game's eighth season today. On Twitter, the band announced, "Fortnite Weezon 8 live now!" Those who keep up with frontman Rivers Cuomo on Twitter know that he's no stranger to the game. Earlier this month, he appeared to hint at the band's in-game feature, tweeting "Weezer (The Fortnite Album)." The Black Album is set to arrive tomorrow, and Weezer have already recorded the bulk of a follow-up effort. You can read our review of The Black Album here.